This is the farmhouse at Kuerner's farm in Chadds Ford, Pennsylvania. Andrew Wyeth painted this farm and its people hundreds of times. I was sitting in the kitchen painting the view out a side window. 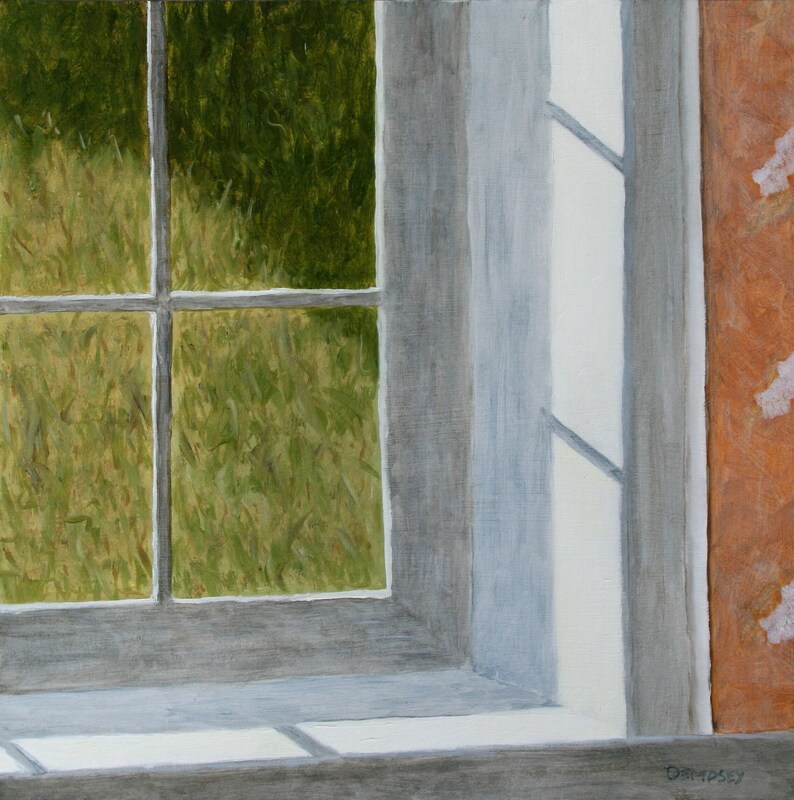 This side window is the same one which Wyeth painted "Groundhog Day". The painting is twelve inches wide by twelve inches tall. It is an oil on a board. It was painted on site, en plein air.